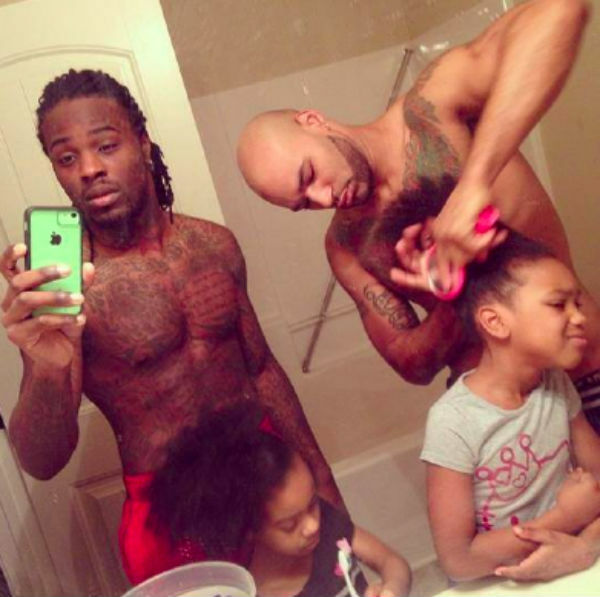 When gay dads Kordale and Kaleb took this photo while doing their daughters’ hair a year ago, they could never have imagined the reaction it would get. After they posted it to Instagram and it went viral, they copped a homophobic backlash on Twitter – but also plenty of support. Now, their family is in the spotlight again for a new Nikon camera campaign. As part of I Am Generation Image, the company sent cameras to seven people “with something to say” to help them “make their mark”. Kordale and Kaleb used the camera to take photos of their family’s day-to-day life, which can be seen on the campaign’s website along with a video. “Last year, we were surprised when a picture of us doing our daughters’ hair went viral. To us, that’s just part of our morning routine. 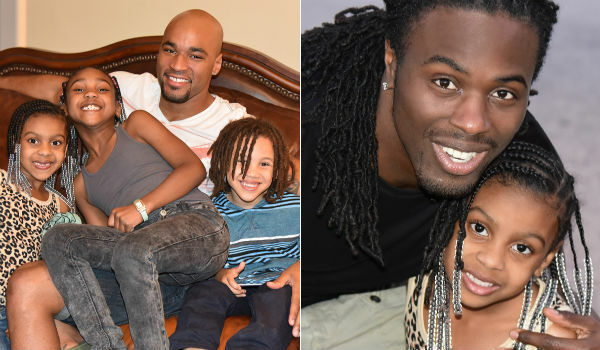 With our images, we want to share our family’s life – and maybe reveal how much our family is like yours,” Kordale and Kaleb’s video introductions says. The couple tell the Huffington Post their life has changed dramatically since their picture became an internet sensation. “We feel that there are a lot of people looking at us as an example within the LGBTQ community — which is an awesome thing,” they say. “There will be those people who do not agree and will post negative comments or snarl their faces, but there are (many) more people who do agree and commend us as fathers and community activists. They say they want to teach their three daughters about diversity and equality, and to love and embrace differences. “We instil in our children equality despite the inequality we have received as gay men through things such as marriage laws. Our children are ready for us to wed but they do not truly grasp the reasons … we are not allowed to get married as two men who love one another in our home state of Georgia – this is the real injustice. However, we will still inculcate great characteristics upon our children that will help make this a better and unbiased world,” they tell Huffington Post.